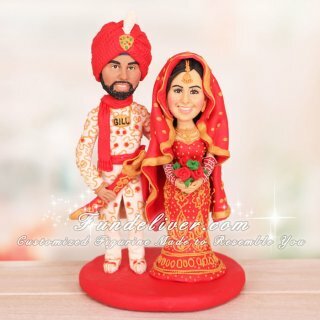 This is a completely customized Hindu Indian theme wedding cake topper ordered by one of our customers. 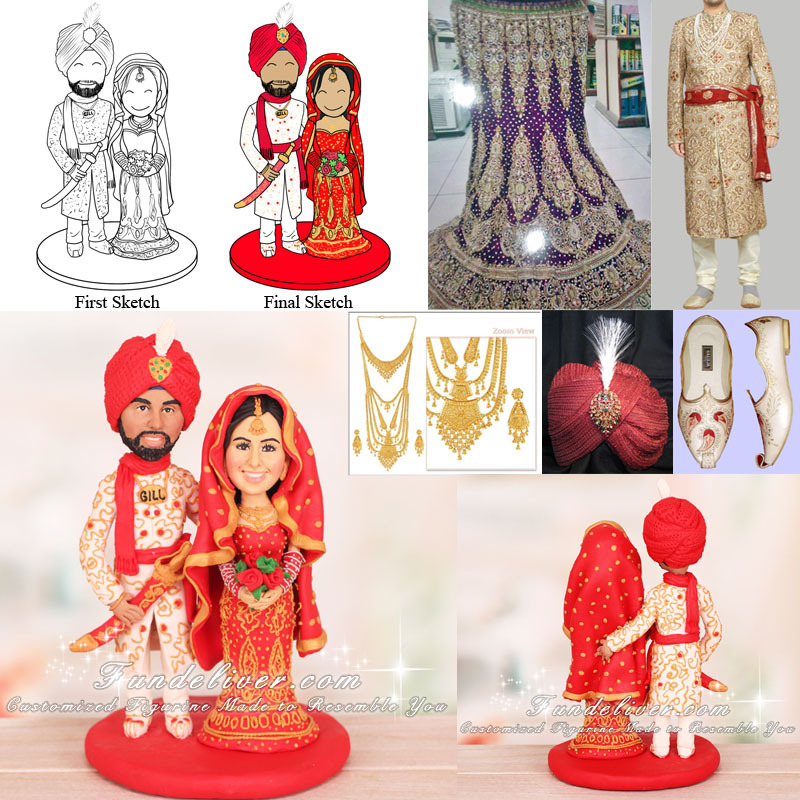 They would like the same style cake topper as this Bollywood/Hindu cake topper advertised on our website with the pictures they provide. The color of bride’s dress is purple, but they would like to change it to red. They would like to have no nose-ring on the bride's nose and keep the bangles as they are but in red and the flowers as they are too. The groom's suit and sword are exact same kind and color as the sample on our website. Also leave forehead and neck jewelry as it is on the sample bride. They would like the bride's veil to be the same as the sample but match the dress and be in red. Also they would like to add a gold colored jewelry necklace around the groom's neck saying the word "GILL" and a gold bracelet around his right wrist.